The new speaker by Boat is available in Charcoal Black and Midnight Blue colour options. It can be purchased for Rs 1,299 from Amazon India’s website. The speaker comes with a warranty that lasts a year. Speaking of the features of the newly launched Bluetooth speaker by Boat, the device comes with Bluetooth version 4.2 that enables it to connect wirelessly to other devices that are up to 10 meters away from it. The speakers are powered by JL AC6905B chipset. Its driver is said to be 1.5-inch in size and can produce power output of 3W. 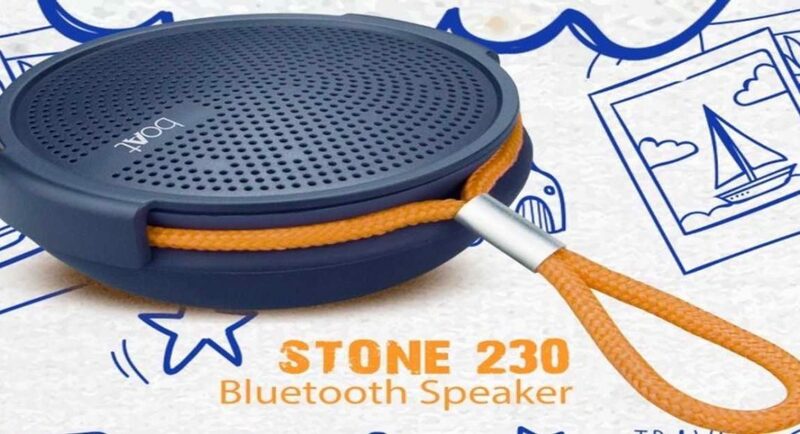 Boat Stone 230 Bluetooth speaker house a 1200mAh lithium-ion battery which, according to the company, can offer up to 10 hours of playback time. It is also said that the battery of the speaker takes 3.5 hours to be charged. Boat Stone 230’s response frequency starts from 2.4GHz and goes up to 2.480GHz. There is a built-in microphone on the speaker and it comes with a microUSB port that can be used for charging the device. Users can also install a microSD card in the Bluetooth speaker. As we mentioned earlier, Boat’s Stone 230 Bluetooth speaker comes with IPX4 rating. This makes it water resistant, so it should not be a problem for you to carry it with you while you are travelling. The dimensions of the newly launched Bluetooth speaker is 92x92x40mm and it weighs 245 grams.